The 12 officials were unaware Scottish referees were on strike, pulling out on Friday when they learned the facts. STV understands the 12 Polish officials who have now abandoned plans to take charge of Scottish football matches this weekend were originally told they were travelling as part of a referee exchange programme between the two nations. Marcin Borski, Pawel Gil and Hubert Siejewicz, together with six assistants and three fourth officials, all decided to cancel their plans to referee three of 11 fixtures scheduled when they learned they were instead needed to cover an ongoing strike. There is no suggestion the Scottish Football Association were responsible for telling the officials an incorrect version of events. At this stage, it is unclear why the 12 were led to believe they would be coming to the UK under a similar agreement to the one their country already has in place with Japan. Gil, Borski and Siejewicz were down to cover a game each this weekend, with six games in the SPL, three in the Scottish Cup, one in the First Division and the ALBA Challenge Cup final to fulfil. In a statement to STV on Friday morning, the Polish FA claimed that their referees were no longer being sent to Scotland because they were required for their own domestic fixtures. However, a list of the appointments to eight Polish top flight fixtures this weekend shows that none of the three have been assigned games. "We will not be sending our referees to Scotland tomorrow because they are needed for our domestic games,” the Polish FA told STV. 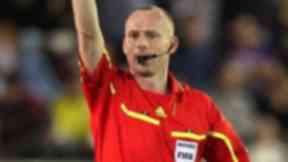 "We did confirm to the SFA yesterday that we would be sending a team of 12 officials but that is no longer the case. Our domestic games take place today [Friday], tomorrow [Saturday] and Sunday." When asked by STV why the situation had changed so abruptly and whether or not it was a decision of the Polish FA or the referees themselves, the spokesperson declined to make further comment.